Can you imagine working for a society whose priorities are justice, mutual respect, the participation of all, concern for the vulnerable and the stranger, stewardship of resources, and care for Creation? Can you imagine living in one community with people from Northern Ireland, Kenya, the States, the Republic of Ireland, Colombia, Switzerland, Germany, Sweden, Pakistan, and El Salvador? Can you imagine offering hospitality to thousands of people by cleaning, cooking, leading activities and listening to stories? 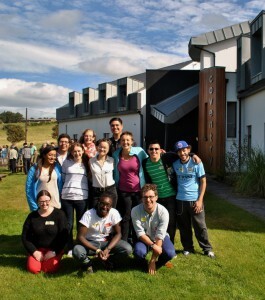 If you are interested in becoming a volunteer at our 50-year-old peace and reconciliation centre in Northern Ireland, please visit our website www.corrymeela.org or contact Aileen aileenfarrell@corrymeela.org and Emily emilygraber@corrymeela.org for further details. This entry was posted in Uncategorised on 5th February 2015 by Sigtunastiftelsen. We would like to get in touch with everyone who has contributed their time and energy to sustain Corrymeela over the last fifty years. If you have been a Corrymeela volunteer of any kind (long term, short term, kitchen, summer, work camp, housekeeping, reception, etc), please fill out this form and let us know where you are, what you’re up to and whether you’d like information about our celebration and gathering of former Corrymeela volunteers, 3rd -7th April 2015. The event will be full of endless cups of tea and coffee, walks down memory lane and around the site, reflections on where life has taken you and Corrymeela, and an Easter service led by Pádraig ÓTuama, new Community Leader. We’d like as many people as possible to attend who represent a wide range of years and tasks. In light of this, it will be a ‘pay as you please’ event, meaning that donations will be warmly welcomed but not mandatory. If you aren’t able to come, don’t worry! There will be opportunities to participate from afar. 2015 is the year we will build the Corrymeela diaspora into a vibrant community. If you are planning a conference or a project on an ethical issue and you want to get input and insights from various parts of the world, if you are looking for partners and experts from different regions of the world, or if you even want to join research projects or thematic networks, then the Globethics Network www.globethics.net could be the right resource and network to connect with. Globethics.net is a global network of persons and institutions interested in various fields of applied ethics. It offers access to a large number of resources on ethics, especially through its leading global digital ethics library and facilitates collaborative web-based research, conferences, online publishing and information sharing. 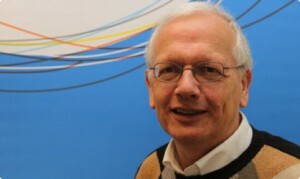 The center piece of Globethics.net, founded in 2008 by Christoph Stückelberger in Switzerland, is its research library which includes by now 1.497,964 full articles, books and journals reflecting on ethical issues. The library can be searched under various categories and key words. In addition, Globethics offers access to research consortia and networks on a number of issues. And it also works the other way round: registered participants could also post their articles and reflections and facilitate the establishment of a network. Registration is free of charge! Under its motto “Dialogue, Reflection and Action for a Responsible Leadership” the very international Board and staff of Globalethics want to promote especially equal access to ethical discourses for interested people and researchers in Africa, Asia and Latin America. But Europeans, for instance, do profit by the same token. The Globethics headquarters based in the Ecumenical Centre in Geneva facilitates a huge network on ethical issues from all over the world. At present, it centers its own activities around issues such as business and economic issues, interreligious ethics, responsible leadership. 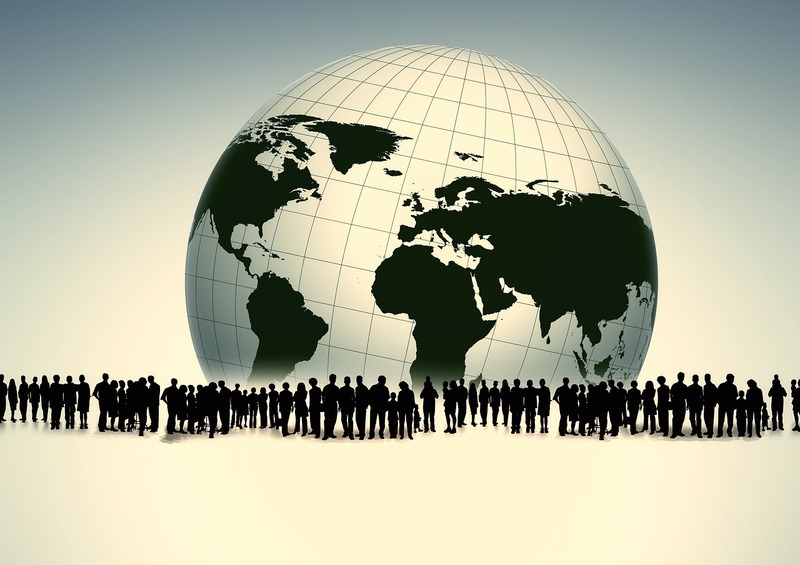 Registered participants profit to a high degree from its services and networks. Violence as a means – is that allowed? This is not just a question which can easily be raised to for example Christians, westerners, Muslims, atheists, jihadists only. Most of the time the evil sides of humanity seems to characterise more ‘others’ than ourselves, our friends. Yet the good arguments for this approach are easy to find: the attack on Charlie Hebdo was not done by us but by fanatic followers of what we consider the false Islam. The same applies to Boko Haram, to IS, to fundamentalists, to people who are different from us. ‘Charlie Hebdo’ as the expression of evil thoughts and deeds doesn’t characterise us. And we condemn it forcefully, as I have seen in many statements from many organisations which are on the correct side of the spectrum. And I heard it in many interviews. Let me be clear: it is awful what has happened in Paris, what has happened in the North-East of Nigeria, what is happening in Syria. We have to fight this as clear and dedicated as possible. And yet – I also have some feelings of unease, of ‘jumping to a conclusion’. The first information about the attacks in Paris were to a high degree factual. After that, in the second wave, theories and assumptions started to arise – especially about the motives of the attackers. Quite some of them were true – generalisations were not. The third line of article’s, of comments dealt more and more with backgrounds. Much has to be said about that, for instance regarding the role of religion, the role of socio-economic situation, of education. And also about the limitations of values. What is the scope of the freedom of expression? Like any value, also this value can compete with other values, like respect for the integrity of a person. How to make judgements in such situations? The philosopher Avashai Margalit defined two concepts in his book ‘The Decent Society”(1996). He defines a ‘decent society’ as ‘one whose institutions do not humiliate people’. In addition to that he defines a ‘civilised society’ as ‘one whose members do not humiliate one another’. These two concepts are real challenges, especially when we want them to be realised. Not just ‘for them’ nor just ‘by them’. Also in the conflict, as was expressed in Paris, we can distinguish a huge group of indirect involved people. Like ourselves. And by determining this, we are at stake too, in our role within this conflict. Therefore it takes more than a minute. It takes more than a minute for me as a person. It takes more than a minute for us as members of Oikosnet Europe to actively deal with the questions, arising from the first week of January 2015. It is our task, sometimes included in our profession, to support the open exchange of thoughts and underlying values. This can bring us to both a decent and a civilised society. Challenges enough. This entry was posted in News from Oikosnet, Uncategorised on 5th February 2015 by Sigtunastiftelsen.